In our last two posts, we discussed how INASP’s thinking on capacity building has been influenced by some recent debates on systems and complexity (and also by many years of experience) and how we go about understanding the national research systems in which we work. In the intervening weeks we’ve had some really valuable comments, and had the opportunity to reflect further as our programmes continue to unfold. As we’ve said before, we see ourselves as a ‘doing’ organisation, and want to try and ground this discussion in specific, practical experience as far as we can. So here we want to offer some examples of these approaches in three of the countries we’re working in – Nepal, Sierra Leone and Zimbabwe. We’ve been working in Nepal for a decade, supporting journal access and local publishing. But access to research is still a problem – progress had been slower than in many of our other partner countries partly because we realised we didn’t understand many of the interrelationships well enough to work most effectively. In this context, Nepal seemed a good candidate for INASP’s systems approach. To start with, we took a country note written by a Nepalese colleague, and built on this to give a rough and ready map of the Nepalese research system. A visit to Nepal then followed, with the specific purpose of understanding the interactions between various key links in the national research system. Over the course of a week we visited three universities, several research institutes, the University Grants Commission, the civil service training college, researchers, research labs, several NGOs and development agencies and media organisations. We talked to researchers, clinicians, journal editors, university managers, government and donor agency officials, the media and NGO staff. How did this help? We dramatically improved our understanding of the Nepalese research system, and began to understand the social and political environment a little better. We made some useful connections. We were also able to respond ‘on the fly’ to what we were learning. Much of our work turns on relationship between people and organisations – the mundane challenges of development. So having understood what wasn’t working on the ‘access’ side, and realising the national university funding agency was keen to see things improved, we offered our analysis of what the problems were and how they could push for change. This required a degree of agility – being ready to marshal our learning, forge a new relationship, and see if we could help unblock things. We saw that identifying some individual change makers could be really important – but also that this wasn’t sufficient without enabling conditions in which to work – hence the need to push for some changes at the top. But we also learnt – perhaps unsurprisingly – that the system was far bigger than we had initially thought. Or rather we realised that we needed to extend the ‘boundaries’ of the system as we had conceived of it, in order to accommodate the people and organisations who might influence our work. Firstly, that we needed to take a much more holistic approach, to not only improve access to journals, but also to ensure that academics had a reason to be using them – because they were publishing their work. 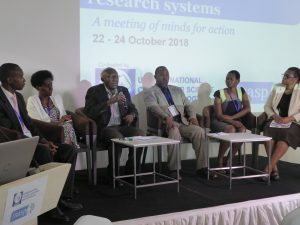 Secondly, that this was an opportunity for INASP to understand the minimum conditions needed to begin supporting national research systems in a new country, and how we might achieve results in less time, if we were to bring different components of our work together e.g. by providing access to research and simultaneously supporting research production. For many years we’ve tackled access to research from a library perspective – securing access, and training librarians. This has achieved some real results (see the PERI final evaluation), but we realised there were gaps in the approach – overcoming the bottlenecks meant bringing researchers and research leadership into the conversation. In Sierra Leone we’ve taken a different approach, and early results have been particularly encouraging. So far the project has been characterised by several elements. A willingness to be flexible – to iteratively rethink and rework the project design before we began a single activity, and then to continue to adapt once we began. Combining our ‘research access’ and our ‘research production’ strands – training librarians and IT staff in how to manage access to online literature, training researchers in search skills, and offering subsequent support in research writing. Seeking relationships with university leaders from the start, to understand their priorities for research development, and to see how this project could serve them. Taking a collective problem approach from the start, so bringing librarians, IT staff, researchers and leadership together to understand and agree on what they wanted to achieve. Hearing that Sierra Leone looked particularly to Ghana as a development example, we quickly involved INASP’s Ghanaian Associate, Dr Helena Asamoah-Hassan who could offer some powerful examples of what could be achieved. Stepping back as soon as we started to see local ownership, seeing ourselves as catalysts at best, rather than trying to extend our role if we weren’t needed. The third example is from our work with the Zimbabwe Evidence-informed Policy Making Network (ZEIPNET) to strengthen research use by key departments in Zimbabwe. ZEIPNET are part of the VakaYiko consortium which INASP leads. The project in Zimbabwe initially focused on building the capacity of individual researchers and analysts in government departments to use research information. 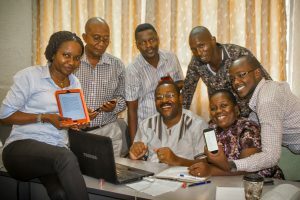 We had originally planned a combination of traditional training to introduce key concepts and build skills (such as searching, interpreting and communicating research for policy makers) followed by a mentorship programme to help apply those skills within the work environment. In early conversations with ministries and the parliament we realised that most research departments had relatively small teams made up of between six and 10 researchers. The heads of these departments were interested in improving the teams and not just the individuals. This created an opportunity to work with whole research teams, going beyond individuals to strengthening the research core of a whole department. One of the challenges of capacity building initiatives is how to ensure skills are retained within a department when individuals move on. Working with a team means increases the chance that when individuals move on, skills and working practice are still retained and shared with new team members when they join. So, ZEIPNET and INASP adapted the project so that training will be offered to the whole team to bring everyone to a shared understanding. A smaller group will then go on to the mentoring programme where they’ll be paired with international peers working in similar roles or policy areas. The mentor/mentee pair will then work together on delivering a specific policy output such as a draft policy paper or background paper. We have a separate stream of work using policy dialogues and knowledge cafes, informal spaces where we can bring together policy makers, the media, academics and which are open to the public, to discuss the evidence base around particular policies. However in conversations with ministries and parliament it became clear that they instead see the policy dialogues as an opportunity to showcase the work they are already doing around using evidence. This challenged our perception of policy makers as not wanting to expose themselves to public debate. 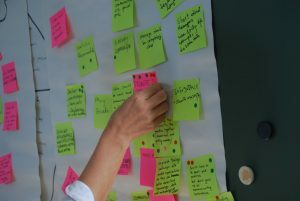 Seeing these opportunities, the project responded by linking the capacity building of research teams with the policy dialogues and in so doing bring together different parts of the research system – think tanks and academia who produce research with policy makers who use research and the media who communicate the policy implications to the public. So, in addition to the training and mentorship discussed above, the research teams will use the policy dialogue to discuss the work their departments are doing with a focus on areas of strategic importance to the departments. 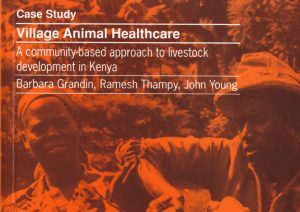 This holistic approach links capacity strengthening of individuals and teams with stimulating demand from other the wider research system. In a comment on our previous post, we said we take an ‘inspired by systems thinking’ approach to our work instead of trying to understand every detail of every situation. The project in Sierra Leone, the practical analysis in Nepal and the change in programme strategy in Zimbabwe provide different examples of how we approach systems thinking in a practical way. It is less about rigid methodologies and more about certain guiding principles which we are trying to bring together into an INASP approach. In all the cases we discussed above, a common theme was flexibility coupled with identifying and seeking critical connections and being able to adjust our programmes so that they respond to emerging needs. But this is backed up by a wide and international network of partners and collaborators, both organisations and individuals. This ability to work with partners and play that connecting role as broker or convenor is an increasingly critical aspect of our work. Even the most complex system is composed of individuals, working within organisations, and interacting with each other in various different ways, and to varying degrees of effectiveness.